Purchasing this item will earn you 5395 reward points (Reward Points Rs. 539.50) ! Purchasing this item will earn you 5395 Rewards points (Rs. 539.50) ! Walden presents a very high quality standard at a very good price. Built in mahogany and designed with pickguard to avoid possible scratches by using pawl at the time of execution. The CS550CE G is an ideal guitar to play live and studio recording. Concorda 500 begins this solid top line with distinguishing elements such as its inlaid maple-mahogany rosette, a high gloss finish, and micro-dot finger board position markers. A tapered headstock with pearl Walden logo and chrome oil-sealed tuning machines complete this most affordable of Concorda line instruments. With Dreadnought, Orchestra, Grand Auditorium and cutaway-electric models available you are sure to find a Concorda 500 to suit your musical style. CS550 CE is a 2012 novelty, and it is situated in the 500 series of the Concorda line of steel-stringed guitars. CS550CE comes with a concert shaped body made of rosewood back and sides and solid spruce top. This single cutaway steel-stringer features black binding around the top and tortoise shell pickguard on it. Sound hole is adorned with a double circle rosette. CS550CE comes in natural color with gloss finish. 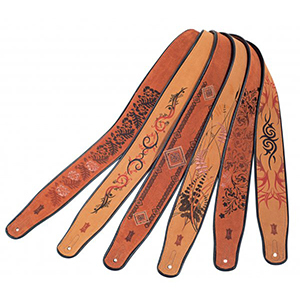 The bridge is made of rosewood and it features a belly shape, white string pins and white fossalite saddle. In the electronics department an under-saddle pickup and B-Band T35 preamp take care of amplification tasks. Preamp is equipped with a side-mounted control panel with three-band equalizer, volume knob and chromatic tuner. The neck is made of mahogany and equipped with a dovetail joint set at 14th fret. The fingerboard is made of rosewood and it has 20 frets with dot position inlays and 1-11/16 fossalite string nut. As with every Concorda 500 series guitar, the CG570 is fitted with a glass-fiber reinforced neck, two way truss rod and has a rosewood fingerboard and bridge. It’s hard to name that one person who’s never played a guitar, or at least, wanted to. Hobbyists and occasional guitar players are in abundance, but those handful who are in dire need of a good acoustic guitar will certainly like what we’ve prepared. This is more of a versus match between the best Guild Guitars than a regular review, but even so, these two models are some of the finest ever made, which will cut short your search substantially. Without any further ado, let’s get straight to it. Guild Guitar Company (often referred to as “GGC”) is a world-class leader in the manufacturing of premium-quality guitars. They’ve been around since 1952 when they were founded by a certain Alfred Dronge. Some sources relate Dronge with George Mann, one of the executives of the Epiphone company, which speaks volumes about what kind of a calibre these guys are. The GGC was bought off by Cordoba in 2014, but despite the legal technicalities behind this conjoining, the innovations brought by the new arrivals have resulted in exquisiteness. Let’s take a look at what D-240E and OM-240CE can do for you. Guild’s D-240E is an outstanding acoustic guitar. Despite its simplicity, it hides quite a few secrets. At first glance, you could notice that it comes equipped with a number of plain, yet formidable features, such as the solid Sitka top, C-shaped neck, plain chrome machine heads, and more. Just like the majority of top-tier guitars are made of mahogany and rosewood, the D-240E poses no exception. The sides, neck, and back are all made of premium-quality mahogany material while the fingerboard and bridge are made of rosewood. This guitar numbers 20 gentle frets that allow for exquisite playability – even though this feature aims to help beginners learn the ropes, most professionals could benefit from it. What’s more, the 25” scale suits beginners and veterans alike. It’s worthwhile mentioning that this guitar is only semi-acoustic. Namely, it features a marvellous hardware set which, when powered by an amplification device (guitar amp), boosts the volume, and perhaps, clarity, depending on which amp is being used. The Guild’s own AP-1 active-acoustic Piezo pickups are “responsible” for unrivalled tonal qualities of the D-240E. 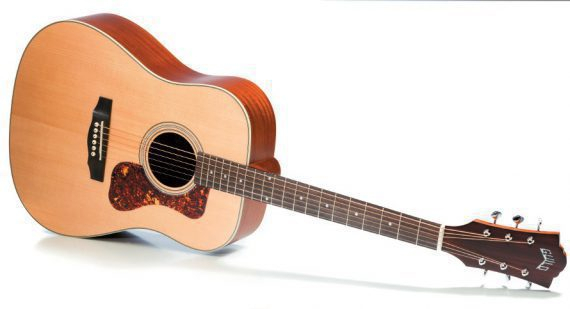 As for the matter of price, Guild’s D-240E belongs to the “medium” price point category. It doesn’t cost too much, let alone a fortune, but it certainly comes at a hefty price. Regardless, professionals seeking quality shouldn’t pay too much regard for the couple hundred bucks extra on the price tag, so it’s safe to say that this model is fairly valuable for the money. Lastly, you’ll not only get a beautiful, high-performance guitar should you choose this option – the brand offers a complementary gig bag for easy transport and storage as well. Even though this bonus feature isn’t so rare, it’s a welcome sight, to say the least. Guild’s OM D-240CE sounds a bit complex, but, in truth, it’s as simple as it gets. This guitar is an exquisite piece of art – it looks ravishing, sounds amazing, and features some of the finest technologies and equipment known to the market of today. Let’s start off from the beginning. The OM D-240CE features a Solid Spruce top, mahogany back and sides, scalloped X brace, Pearloid ABS rosette, and a remarkable matte polyurethane finish. The neck was built from durable, high-resonance mahogany, the nut from bone. Now, the bridge features a pre-compensated saddle which will certainly help you skip the dull setup part. Namely, the saddle heavily influences the intonation potential of each guitar, and a compensated one helps in many ways. Even though this guitar comes pre-strung with D’Addario’s EXP 16 phosphor-coated strings, you can always upgrade if they’re not to your liking. Just like Guild’s D-240E, this model is also a “semi-acoustic” guitar. It comes outfitted with Guild’s AP-1 pickup which significantly boosts its overall performance, especially if you consider playing gigs somewhere in the future. Even though there aren’t any flaws concerning this model that are worth mentioning, the only think most people don’t particularly like is that you don’t get to choose any other colour. The “Natural” is all you could hope of getting, as the brand didn’t make any other variations. Regardless, even in the most natural form, this guitar is as ravishing as it is elegant and beautiful. Lastly, let’s talk a bit about the price. Guild’s OM-240CE belongs to the same price point category as Guild’s D-240E, even though it’s just tad more expensive. Regardless, this model is as good as the one we’ve previously reviewed, and it’s up to you to determine which one suits you better. People often choose between lesser evils – “this guitar is expensive, but worth the cash”, or “this one’s cheap, but sounds quite awful”. The choices we make when we have to compensate for a fatal flaw with mediocre quality are often obvious, hence they don’t fall too hard on us. However, choosing between “good” and “best” is a totally different story. That’s the reason why we’ve included only two guitars in this review. They both come from the same brand (which earned its fame throughout the decades of good work), and they’re outfitted with a similar set of technologies and features. Since we start off with a presumption that you are a professional in need of a good guitar, simply choose the one which comes with a more convenient feature outfit. Chords are, basically, several notes played simultaneously, resulting in a sort of harmony. Now, there are all kinds of chord types, from melancholic minors, over joyous majors, to heavy power chords. Whenever you strum several notes on your guitar (or hit two or more keys on your piano, or any other instrument), you're essentially playing a chord. Imagining chords as pieces, of sorts, is ideal for beginners who're not well-versed in the complex language of the music theory. These "pieces" are comprised of even smaller "parts", called notes, and assembling them in a string of consecutive sequences will be the object of our topic – chord progressions. Plain and simple, each time you play several simultaneous chords, you're dabbling with "chord progression", just like you're making a chord each time you play several notes. Just like chords have "root notes" (or "key" notes), the basic principles of chord progression start with the "root" chord. Harmony – playing multiple sound pitches result in a harmony. A great example of it is a "chord". Chord - a chord represents a note group (minor, major, diminished, augmented). Scale – A set of notes organized in a fundamental frequency. How can you expand your knowledge of music with chord progression? Even though this might have crossed your mind, you don't have to actually know what chord progression is in order to use it. In fact, you don't even need to know what chords are, for that matter, but there are several reasons that might make you feel otherwise. For example, even the most immediate beginners are capable of accidentally playing certain chords. A great example of that is the Am (the "A minor") chord, which is often considered as one of the easiest chords to play. Now, here's the kicker – what then? Knowing which chords are compatible with other chords will yield a fine harmony, whereas the other option might not sound appealing at all. This leads us to the following conclusion – knowing to recognize the scale in which a certain chord belongs in opens up the doors to successfully stringing good chord progressions. Even if it's not much, it's great to begin with. Unless you're a fan of unconventional music genres, you should at least consider learning the basics of music theory, and starting with the scales will be greatly beneficial to your knowledge of chord progression. There are a number of scales in the music theory, including the Major scale, the Natural Minor scale, the Harmonic Minor, the Melodic Minor, pentatonic, chromatic scale, and such. Learning more about them will give you a sort of a vantage point over the notes that are musically compatible with the root note you intended to begin with. Now, how can you use this knowledge to further improve your chord progression skills? In a way, you'll narrow down the map of your fingerboard (if it's the guitar you're playing, we're using it as an example), giving you a clear view of the direction in which the note sequence will go. After all, the chord progression represents a sequence of chords, and understanding the scales will undoubtedly help you with this matter. Most people have seen roman numerals in music textbooks at the elementary school, and, in case you haven't been paying attention at that certain class when this was explained, let us clarify the issue. First of all, let's remind ourselves that the chord progression is a sequence, and, just like any other, it has a certain order. The pattern in which the chords are played are governed by this order, thus each chord is given a number. The idea of adding numerals instead of putting plain chord letters is quite simple, actually – it's easier to memorize the numbers than letters due to the fact that some chords have more complex "names" (such as "A7", "Dm", and such). Further on that note, it's always easier to say "go one-two-four-two" than "go A-minor, diminished F, the A seven, and end with the G major". Apart from sheer simplicity, there were other factors that motivated musicians to use numerals instead of letter combinations. Certain bands in modern music genres often transpose their songs to new keys frequently, so the numerals play a different role here - they serve as a "silent instructor" to new band members that don't have the time to prepare, especially during improvisation sessions. The music theory is often hard to grasp head-on if you haven't any previous experience with it, and chord progression might appear tricky to some at start. The fact is, it's not – it only takes a while to understand how chords are built, and all you have to do is simply use this knowledge to make something bigger – a complete sequence of note combinations. Essentially, learning how to use chord progressions can be beneficial for virtually every type of musician – composing songs will be easier, learning new ones will be a breeze, and improvising might feel more natural. All in all, this isn't nuclear science, and you're sure to catch up in no time. We wish you all the luck. There is hardly a better instrument for beginners to take up than the acoustic guitar. It’s relatively easy to get a grip of, and anyone can easily learn a couple of chords and be able to play pretty much any popular song out there. However, choosing the right one can be a difficult task. With so many different models on the market, it’s easy to get confused, demotivated, and ultimately, give up. Lucky for you, we have compiled a list of the 5 crucial things you should consider when buying an acoustic guitar. After reading this article, you will have a better understanding of acoustic guitars, and picking the perfect model for your needs will be way easier! 1. Body Size – Comfort is your priority! Actually learning to play, and advancing, is very hard, if not impossible, if the instrument you practice with doesn’t feel comfortable. Various sizes also affect the sound, with different parts of the tonal range being more or less prominent. (Grand) Concert – These come in at around 13” in terms of body size. Perfect for smaller musicians. (Grand) Auditorium – Slightly bigger in size, offers a balanced sound as well as good volume. Jumbo – Bigger than the Auditorium, great for country music. 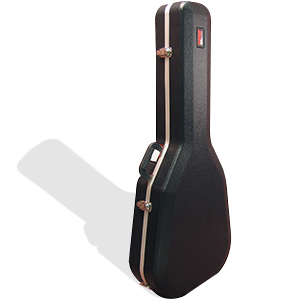 Dreadnought – Stand at around 20”, the best choice for bluegrass and similar genres. Travel/ Mini – Varying in size, generally small and practical for traveling. Your safest bet is to try out a friend’s guitar, and see if it feels good in your hands. If not, ask them for the model, or simply measure the dimensions, and look for a smaller/ larger option for yourself! So, the bigger the guitar, the more projection and volume it can offer. However, that isn’t the only factor that defines the actual sound of an acoustic guitar. Tonewood is the wood used for the body of an acoustic guitar. It gives different models various characteristics, both in terms of feel, build quality and sound. Sapele – Fairly lightweight yet durable, very defined high range. Maple – Similar to Sapele, Maple is rich with treble and easily cuts through the mix when played alongside other instruments. Mahogany – Somewhere between Sapele and Maple, Mahogany makes for a strong and defined sound, with a slight boost in the highs. Cedar – Compared to the other tonewood types, it’s pretty soft. Just think flamenco in terms of the actual sound! If you’re a beginner, getting the “wrong” tonewood type for your first guitar won’t really matter. But, in order to make a future-proof investment, try to make a rough sketch of the sound you’re looking for and choose accordingly! 3. Steel or Nylon Strings? What’s the Difference? While many online guides suggest that beginner guitarists should go with nylon strings for their first acoustic guitar, there isn’t really a rule to be followed. The biggest differences between these two options are in the sound and feel. Nylon strings feel much softer and won’t wear out your fingertips that fast. The sound is also less bright and offers more warmth. Steel strings, on the other hand, make longer practice sessions more painful, but contribute to higher volume levels and a crisp tone. Listen to how both options sound on the internet, and go for what you find to be more appealing. Just note that when you buy an acoustic guitar with steel strings, you can not put nylon strings on that model, and vice versa! 4. What About Acoustic-Electric Guitars? Acoustic- electric guitars stand somewhere in the middle between regular acoustic and electric guitars. They have a pickup similar to those found on electric guitars, and give you the possibility to play through an amp! Recording sessions and live performances are much easier if you play a guitar of this sort. So, if you plan on playing with other people in a band, or maybe even on the streets in the future, going with an acoustic-electric model is a great idea. Just remember that you will have to spend a bit more money on this type of guitar! 5. How Much Money Do I Have to Spend? It goes without saying that usually, the more you spend, the better the instrument is, at least to a certain point. First of all, you should evaluate your skill level. Are you a beginner or a more advanced guitar player? 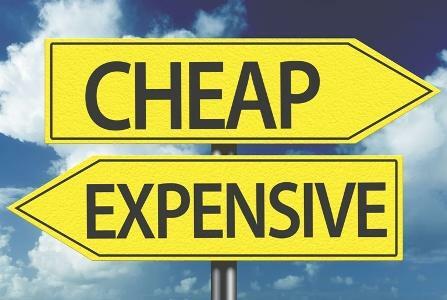 As an absolute newbie, you won’t be able to tell the difference between cheap and more expensive models. Having that in mind, getting a $1000 acoustic guitar as your first instrument just doesn’t make sense. Look for popular brands such as Ibanez, Fender, Yamaha, Cort, or Taylor. Each of these brands offers a wide variety of great models with different price tags. It’s better to spend a little more than you originally planned for a guitar that’s proven itself worth the money, than going for an unknown, yet very cheap model. For around $100, you can get a pretty decent beginner acoustic guitar. If you feel like you need something a bit better, going up to $500 tops makes sense in most cases. Anything more than that is generally a waste of money unless your life goal is to become a professional guitarist. So, think about the type of music you want to play, the size that feels the most comfortable, and the sound you find most appealing. If needed, save up some extra money, and start playing! We hope that you found this article helpful and that you learned something new about acoustic guitars! As always, thank you for reading, and we will see you in the next one! What would you possibly question, if I tell you about Spanish Guitar Company making Spanish guitars with Spanish craftsmen and founded by Spanish luthier? Yeah, this is a real deal. What would you possibly question, if I tell you about Spanish Guitar Company making Spanish guitars with Spanish craftsmen and founded by Spanish luthier? Yeah, this is a real deal. The history of Rodríguez guitars is as rich as the wood from which they are crafted. Manuel Rodríguez — grandson of flamenco guitarist Manuel Rodriguez Perez Marequi and son of classical luthier Manuel Rodríguez Perez — learned the art of constructing a guitar firsthand. His apprenticeship began at the age of 13 in Madrid, where he also began exporting his finely crafted instruments to France, the United Kingdom, and the U.S. Fast forward to 1959, Manuel Sr. opened a shop Los Angeles, making classical guitars for a myriad of professional players, teachers, students, and even the Hollywood elite. He and his son moved back to Madrid in 1973 where Rodríguez guitars have been designed and built ever since. His son, Manuel Jr, continues on with the family tradition of crafting exquisite instruments with the fire and passion he learned from his heritage. Using only the finest tonewoods and expert craftsmanship, Manuel Rodríguez develops distinctive guitars fit for the world’s preeminent artists. Each instrument is as unique and individual as the musicians who play them. Embodying the skills he learned as an apprentice to the master luthiers of Spain, Manuel Jr. ensures each guitar is a work of art to be treasured for generations. “If that which cannot be repeated is art, then our guitars are also an artistic instrument. It is even more so when each artist constructs his guitar by creating exclusive ornamentation, using precious and unique woods, creating a mosaic, which distinguishes this soundhole from all the other soundholes. It is like a feather; a purfling that will never be repeated as far as color, thickness and taste are concern. We are therefore talking about an art piece that has a life of its own, produces elegant sound, and provides the guitarist with their own one-of-a-kind instrument to express their musical skill and harmonic knowledge. It is held in the hands and close to the body; it is an art piece of precious natural materials built to the luthier’s taste and woodworking skills; it is your trade, personality, and dignity in doing a good job.” — Manuel Rodríguez Jr.
Let me present Caballero 11 or Gentleman 11(Caballero in English). Featuring a carefully chosen, solid Canadian cedar top and laminated bubinga back and sides, the Caballero 11 classical guitar is a beauty to behold and play. The headstock and fretboard are made of Indian rosewood. Nickel-plated tuners and Silver-plated frets are installed to last a lifetime. The body binding and wood rosette is exquisite. The Rodriguez Guitar is hand crafted and glued to create precise balances. From the invisible careful sanding, even inside the body, that ensures the finished instrument's purity of tone, to the beautifully unique rosette inlays around the soundhole and on the back of the neck, each guitar is a credit to its luthier and worthy of being handed down from one generation to another. The tone, resonance and beauty of fine guitars are all dependent upon the wood from which they are made. The wood used in the construction of Rodriguez guitars is carefully chosen and aged to guarantee the highest quality. No wood is purchased before the tree has been cut down, and at least 2 years must elapse before the tree is turned into lumber. The wood has to be well cut from the log. The grain must be close and absolutely vertical. The Rodriguez Caballero 11 guitar features a multi-coloured wood rosette, as exquisite as the sounds that issue from it. Their intricacy and beauty signify the attention to detail that characterizes every Rodriguez guitar. This classical guitar has a look that can only be provided by Bubinga, as natural finish. With a top made of Cedar, the most impressive feature of this piece is its back side finish, a natural deep brown. For C11 model, all Bubinga back and sides are mated to a solid cedar top for a rich tone with a roundness and warmth seldom found on instruments in this price range. The beautiful figuring of the Bubinga adds to the overall aesthetics. A mahogany neck combined with the rosewood fingerboard will make sure the neck stays straight and true, and the wood rosette and binding will ensure great looks accompany your incredible sound. These woods give the instrument a rarely seen colour, because it is not commonly used. How about if we discuss more about its tone woods? Woods such as Bubinga are used by custom guitar-makers, but don’t feature highly in mass-production guitars. These are mostly hard, dense woods with distinctive grain patterns. The colours can be appealing in their natural states, and they are usually used as one ingredient of many in a multi-wood body. Cedar ranges in colour from honey brown to light chocolate. It has a quickness of sound that exceeds any of the spruces, a higher overtone content, lower fundamental content, and lower stiffness along the grain. Additionally, cedar tops require a significantly shorter break-in period than spruce tops, a phenomenon that a few dealers of new guitars are beginning to pick up on. Cedar has been used extensively by makers of classical guitars. Cedar-topped guitars are characteristically lush, dark-toned, and bursting with flavour. They are often less powerful in projection than their spruce cousins, however, and they tend to lose clarity near the top of their dynamic range. Having enough bottom end is never a problem for a cedar guitar, although preventing the sound from getting muddy sometimes is. Because of its pronounced weakness along the grain, I find cedar to be used to its best advantage in smaller-bodied guitars or with non-scalloped braces. The second most common guitar-neck wood after maple, mahogany is most often coupled with a solid mahogany or mahogany/maple-topped body. This more porous, open wood doesn’t quite have maple’s hardness, strength, or stability, however, and it isn’t suitable as a fretboard material. Mahogany has a warm, mellow tone with good presence in the lower mids. The mahogany/rosewood pairing contributes to complex highs, thick and creamy lows, and an appealing midrange that isn’t honky or excessively punchy. All in all this is the perfect guitar for all the classical gentlemen out there, who are looking for an excellent setup to begin their musical journey! The Grail guitars are Top Range Guitars…with their series; be it Grail AG Cutaway or CG Series, specifically for beginners, professionals and/or both…Learn more about the Grail guitars; the sound output, appearance, features, models…and whenever you want to buy Grail Guitars online, you are sure to make an informed choice. The name ‘Grail’ totally justifies this brand. Because every musician eagerly pursues to buy such kind of a guitar which has a better money-value in terms of quality than what the artist is paying for and Grail guitars give you the same. The chronicle of the Holy Grail is one of the most enduring in Western European art and literature. However; in today’s modern time, the meaning of Grail/ Holy Grail is a thing which is eagerly pursued or sought after. And you know what; the name ‘Grail’ totally justifies this brand. Because every musician eagerly pursues to buy such kind of a guitar which has a better money-value in terms of quality than what the artist is paying for and Grail guitars give you the same. Grail guitars have a reputation to deliver better quality than product’s cost. The designing of this piece of art is done in Taiwan and manufactured to specifications that offer superior sound and features at a price that is affordable. To achieve deep warm sound, Grail manufacturers use different combinations of tonewood. These guitars are designed and built in such a fashion that its sound will fit perfectly in any genre. Plus the body of guitar too, it’s built for overall comfort. Grail guitars are committed to developing products at a value, which is irresistible. Well what about the looks and design? Grail guitars are enhanced with inlays, designed pickguards and glossy finishes which make the guitars look great. To help you understand better, I will now explain each product in a little bit of detail. The Grail D110 is a dreadnought guitar with a deep resonance and warm tonal frequency suiting both Beginners and Musicians alike. Tonewoods used in the Guitar amplify the sound and make it sound larger than it looks. The slim neck allows for an easier playing experience. 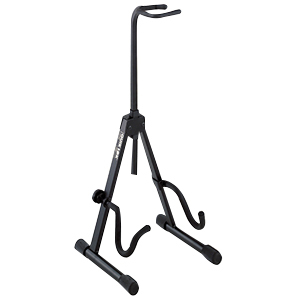 The action is precisely configured to make it easier on the fingers and facilitates longer playing. The D’addario phosphor bronze strings give it a rich and well-balanced tone and enhanced playability. Quality die cast machine heads ensure stable and reliable tuning. The guitar is finished with high quality lacquer, which will keep your guitar in good condition for years to come. The Spruce top and other Tonewoods used in this Guitar give it a rich clarity and resonance that is similar to much higher priced guitars to suit both beginners and musicians alike. The slim neck allows for an easier playing experience. 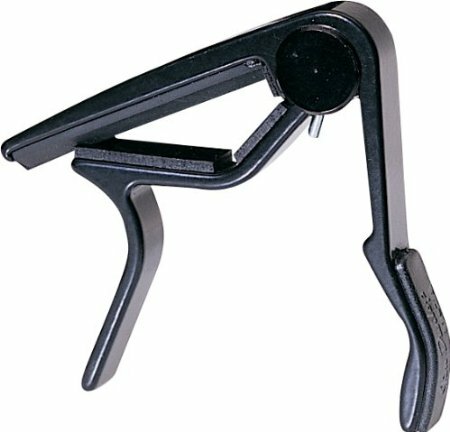 The action is precisely configured to make it easier on the fingers and facilitates longer playing. The D’addario phosphor bronze strings renowned for its rich and well balanced tone and enhanced playability elevates the guitar playing experience. Amped up with quality die cast machine heads; ensures stable and reliable tuning. The guitar is finished with high quality and long lasting lacquer. The D120 is a guitar that looks and sounds like a thoroughbred. The Grail A190 proves that a 39” guitar can look snazzy and sound good. Right from the abalone like inlays to the fan pick guard; this guitar has all the features that will make you want to own it. The A190 is made of basswood with a glossy lacquer finish and ABS binding. It has individual machine heads for stable tuning. This is the perfect guitar for students who want a convenient size without compromising on design and sound. The Grail CG-910 is a Classical guitar that every beginner will love. The neck is easy to hold and the strings and action are designed for comfort picking. The Guitar has a Spruce Top and a multi colour Rosette giving it a contemporary look. The CG -910 has a warm tone and resonance and is a delight to play with. Are you in need of a solid foundation for your electronic guitar experience? The Fender CD-60CE Electro Acoustic Guitar is one of the best options to opt for…Features are uniquely packed to help you learn the necessity… Plus, this classic dreadnought is very cost effective and durable. The excellence and quality that you receive for that much money is dazzling. However, this is not the usual beginner guitar that you will see people chatting about. What is even more vital; the playability and the ease of use that this model present makes it one of the best starter guitars that you can think of. I am standing firm behind my words and I know that once you try this splendour you will share my opinion. Here is the majestic beginner acoustic-electric guitar Fender cd60ce and by the way Fender recently announced that this model is one of their acoustic bestsellers. Why? Because this classic dreadnought comes with a laminated spruce top and mahogany back and sides. This reasonable masterwork comes with a rosewood fingerboard attached to a nato neck and 20 frets. The nut is a standard 1.69″ length and made out of synthetic bone. The rosewood bridge comes with a compensated graph saddle. The headstock is radiating with style, and the die cast tuning machine pegs and the chrome finish of this guitar is splendid. This model features some unique Fender electronics that guarantee quality and full control of the sound. The CD60-CE features built in tuner, volume, mid, bass and treble controls. This one sounds exactly like a good acoustic guitar. Cd60ce is good for a lot of music styles, but let’s not overlook that we are talking about Fender, the king of versatility. Plug it into an amp, and you can do some heavy metal stuff too, just do not forget to lower the settings, because this monster can get really loud sometimes. Bassy lows and nice highs complete the picture. Everything that a beginner can come up with, this axe will handle. Even if you are not just starting out, but you have couple years behind you, you will still love the CD60CE. It is affordable and with a few good upgrades you can easily lift the quality of the sound to a much superior level. 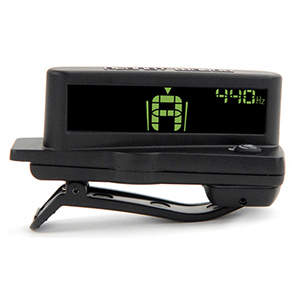 The built-in tuner itself is good enough reason to go with this model and never look back. All in all if you are looking for the best guitar to learn on, this Fender might as well be it. It sounds great, doesn’t cost that much and offers plenty of value for money. Perfect Method of Changing guitar strings. We often consider the outward appearance of the guitar without even noticing how vital the strings can be. 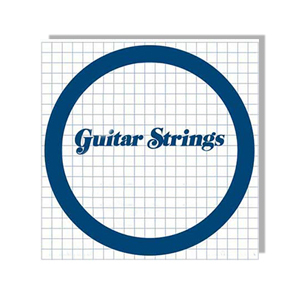 The strings should be cared for during routine and regular maintenance…Learn the effective ways to change your guitar string…dealing with old strings… and stretching, installing, cleaning of the other parts and strings…. In my decade of guitar playing experience (not bragging, just trying to explain you something!) I got efficient in something which is related to guitar playing; the most important part of guitar assembly, yet the most overlooked factor nevertheless, is changing the string(s). Now I know that most of you guys will be like “Yeah like it’s the most complicated thing in the world eh? Pffft... Changing the strings!” No it’s not the most COMPLICATED thing in the world, but yea there are some things which can complicate the process. Counter Productive? Well, it takes time and effort but gives your guitar strings a longer life and of course to your guitar too while giving you a great deal of satisfaction when you play, a clean, fresh bright sounding guitar. Plus, you save money which you hand out for something you can do at the comfort of your home. With a string winder, and starting from the low E string, unwind the string, until you are able to loosen it from the hole in the machine head. Work across the guitar repeating this method. This will put the smallest amount of pressure on your neck and body. Do not plainly cut the strings using wire cutter. This manner is dangerous, and gives an unexpected stress release within the guitar neck. It also makes for twice the sum of wire to dispose of. then, carefully pull out each string’s peg, keeping track of which peg, came from which string. Wrap up each string back into a circle, and lock loop with one end. Try to make the circle small enough to fit into the envelope that your new strings will be disconnected from. In this way, everything is nice and neat, and there is less change of damage. Now use your guitar polish, and clean your instrument, especially around the sound hole. This is also the time to decide, weather your fret board needs conditioning or not. There are many good polishes and fret board conditioners on the market. Personally, I like to remove any dirt and grease that has built up behind the frets. I find that trying to remove all traces of build up is needless and can lead to damage the neck. Harsh chemicals will dry out the wood, and water tends to swell the wood. So, just use a clean cloth and gently remove most of the grease, using the fret board conditioner. Leaving a little grease behind isn’t going to hurt anything. If you get to aggressive and trying to remove all of it, you may do more harm than good. Get a lead pencil. Before replacing your strings, take the sharp lead pencil, and rub the lead into the string slots on the top nut. This will put in a little graphite, and help to release uneven tension when you tune the guitar. Your guitar will stay in tune better. Starting with the bass E string, place the end ball back into the saddle, and adjust the slot in the peg to fit the string. Press the peg all the way down while placing a little tension on the string, with the other hand. You are trying to find the end of your string ball, while pressing the peg into the hole. Take the other end, being careful, wind it around the machine head’s pole 2-3 times, rotating counter clock wise, on the bass side and clock wise on the treble side. After placing the end of the wire through the hole, pull it tight. Now, begin twisting the machine head, placing more stress on the string. No string should be entangled with another. Check to see that the 2-3 windings are holding, and look correctly. Do this with all 6 strings. Using a tuner, slowly bring the bass string up to full note tension. Do this with all 6 strings. Don’t waste your time trying to tune each string. Relative pitch will work for now. If your G string is a wrapped, be slow to bring it up to tone. It contains the thinnest core wire within the set and is the easiest to break. Worry about the G string, and then the top E string. Bring all of your strings up to tune, working your way from the bass to the treble. Use a good pair of small wire cutters, cut off the excess wire. Your new strings will not stay in tune, until they have had time to stretch out. If you don’t plan to play, tune it up, and leave it for a day or two, re-tuning when you have a chance. I have rarely done this, as I usually want to start playing. Additionally, I want my guitar to stay in tune, without constantly retuning… Here is a way, to help remove most of the built in slippage from your strings. Care must be taken, or you will break strings. As the strings become thinner, you must use less pressure. With your guitar fully tuned to E, place it horizontally on a padded table top, and/or your lap with the bass string adjacent to you. Grasp the bass E string with both hands. The wire should be between your four fingers and your thumbs. Hands spread apart, with approx. a half an inch space between your two thumbs, start bending the string. Pull with your fingers, while bending in the opposite direction. Do this moving up and down the neck. You are working the bindings. You should be very careful bending your G string, especially if it has an outer wrapping. This is the string, which will always break first, until you learn this technique. Turn your guitar around now, and do the same thing in the opposite direction, starting from high E to low E. Once you have learned this technique, you will be likely use it, as it makes a huge difference in the time it takes to keep your guitar in tune. It might be wise, to purchase an extra single G and E string. In the beginning, your G, B, and high E, are the strings that break most frequently. Why quality guitars are better than the low cost ones? “Well, playing guitar is my hobby, I don’t want to invest that kind of money in it!” etc. Are the first few questions that pop up in our minds when we find out that economical equipments look expensive because at times the price tag looks much bigger than the future with that instrument! And then we go ahead and buy the cheap ones. Well, that seems ok in the beginning until the pain kicks in. In 5 to 6 months the tone starts wearing off, in an year or so the fret board stars to bend, the cheap metal frets starts damaging and tearing your finger tips, a lot of strength is needed to play simple pieces (especially barred chords) and eventually, playing guitar becomes a chore and not something that you love to do. Option A- Dropping the dream! It’s a no-no! I don’t even want to talk about it. Option B- If it’s a minor tweak; yea why not? But if it’s something related with fret board; that’s what I want to talk about. You see; the brands that are able to provide low cost goods can do so because they use inferior raw material, inexpensive craftsmanship and in general- a cheap job. So, let’s say you see bend in the fret board. You go to the local guitar shop only to find out that the spare parts and labor work costs you as equal to the new cheap guitar. So what are you going to do now? Mend the old one or buy a new one? Option C- After some months of experience, you will eventually find out that budget guitar is the best option because it plays well and definitely softer, and the tone is crisp and bright. Plus the lifespan of that instrument is really long; you can see and feel the better craftsmanship considering its look and playability when compared with the low cost ones. The best motto is; Buy once-buy the best.